In 2003 Briggs & Stratton Motorsport division introduced the world formula racing engine to meet the rules as set out by the CIK.The World Formula Briggs & Stratton racing engine is built of the successful Animal platform with a redesigned cylinder head, larger lift camshaft & valve springs, different intake manifold design, larger carburettor, electric & pull start, billet conrod, larger clutch & rpm limited pvl ignition.The world formula was designed with low engine maintenance in mind & an affordable race engine package. Every World Formula Engine is assembled by hand in the Briggs & Stratton Motorsports Milwaukee Factory by highly skilled & trained technicians. 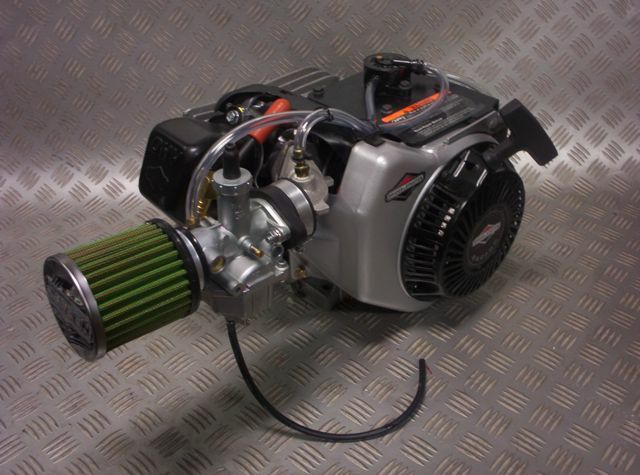 The Information below may help you to run in & maintain your Briggs & Stratton World Formula Motorsport 4 stroke racing engine.We hope you find the information helpful as these are standard procedures & some of the simple things can help to maintain your gokart engine & give your engine & engine components extended life. Please Not Briggs & Stratton Racing Engines Require The Correct Volume and Type of Oil, They should not be run with standard automotive engine oil or oil designed for commercial and industrial engines that only run at 3600 RPM. Very often people think that bigger is better and the Briggs & Stratton World Formula has got to be better than the Briggs & Stratton Animal. Depending on the type of racing you are doing both engines have there place. The World Formula is a race engine that needs to make the revs to produce torque and horsepower. For this reason the standard clutch setting of the Titan clutch supplied with the Briggs & Stratton World Formula is set at a high rpm engagement speed. Below are some comparisons of both the Animal & World Formula engines. The World Formula runs a higher lift camshaft with more duration and produces its torque higher in the rev range, the valve size is larger in a World Formula cylinder head than an Animal cylinder head and the intake port is also bigger on a world formula. The Intake port of a World Formula is a different shape to the intake port of an Animal. The carburettor on a Briggs & Stratton World Formula uses a PZ26 Walbro, the carburettor on a Briggs & Stratton Animal is a PZ22 Walbro. Animal has a squeeze cast conrod, a World Formula has a billet CNC machined conrod. World Formula is supplied with an electric on board starter & recoil starter & requires a 12v battery. Animal is supplied with a recoil starter only, due to the higher camshaft lift the world formula may require valve springs to be replaced compared to an Animal. 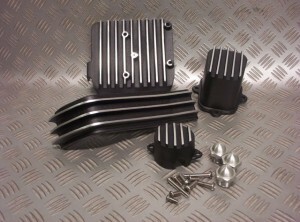 World Formula uses a cast aluminium curved intake manifoldAnimal uses short pressed steel carb spacer. 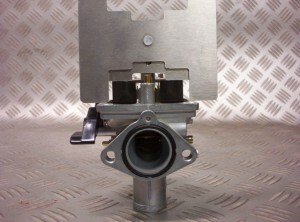 World Formula is supplied with a header pipe to match the power level of the engine out of the box. 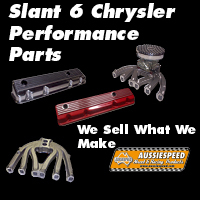 In Short both Animal and World Formula Engines are World class thoroughbred race engines and depending on the type of racing you are doing will depend on the the engine you need. The Animal can be modified and parts from the World Formula do interchange with the animal. When the world formula is fitted with the blue 12000 rpm coil the engine will rev harder, the extra strain put on components is far more than at lower RPM so the harder you rev them the shorter the life span of any engine. Drain the oil from the engine block as soon as you can after your last run, a few of the reasons for this are while the engine oil is hot it will drain faster & along with the oil there is a better chance that any fuel that has by passed the piston rings that is in the engine block or contaminants that are in the oil will drain with it.Also we recommend not refilling the crankcase of the engine with oil until next time you are ready to fire up the engine.The reason behind this is if your engine is stored in a trailer or in a shed the engine can go through a variation of temperature changes & can attract moisture or condensation.The condensation or moisture that turns to water can have an affect on the oil.We all know that water & oil do not mix so why risk it, The crankcase only holds around 600ml of oil so it doesn’t take a lot of water to upset the balance. If new oil is used just before the engine is fired up the heat from the engine will remove any of the moisture from the inside of the engine before it has a chance to mix with the oil & as the oil heats it will also burn of the moisture. Every one has a different opinion on this but this is what we have found. Dont use oil additive like Teflon based engine treatments as they are designed for mostly water cooled engines with oil pumps. Stick with an oil designed for splash feed air cooled racing engines we have had good results here in Australia with the Redline 4 stroke kart oil and you dont need to add any additives. 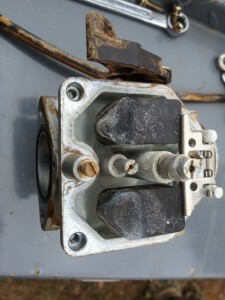 Never use synthetic oils designed to be used in water cooled 4 stroke engines.These oils are designed to not run at the extreme temperatures that & air cooled engine can run at & also most of the water cooled engines are fitted with a oil pump that pumps oil through the engine & doesn’t rely on the dipper on the conrod to splash feed the oil to the engine. Briggs and Stratton Racing Engines require around 600ml of oil to fill the engine block, when using an angled engine mount the engine may hold a little more than when running the engine flat.A quick method of checking to see where the oil level is is to remove the oil plug in the side cover of the engine with the rear axle of the kart raised & you will see the oil sitting at the internal thread of the side cover. We Highly recommend that any time you run your engine always turn the engine over by hand so both the inlet & exhaust valves are closed & the valve springs do not have any tension on them even between races. A good way to learn this is remove the rocker cover & use the recoil pull start to feel when the engine is at TDC. That’s Top Dead Centre.There are distinctive amounts of pressure that you will feel as the engine winds over.By learning how to do this, every time you turn your engine off you can simply turn the engine over & keep that tension of them springs without having to removing the valve cover.Your valve springs will last longer & they will also be able to keep seat pressure of the valve springs at the required installed pressure to stop valve bounce or float at higher rpm giving you a faster engine. At a recent track day a guy turned up with his world formula powered dirt kart & had problems with it coughing & farting whem he was hitting the gas.after replacing a spark plug doing a few checks i could see no progress was being made. NEVER use a pressure cleaner to wash down your kart. no matter how careful you are water & fine mists at high pressure can get in places you just wouldnt think possible.No matter how careful you are DONT DO IT.Below is a picture of a carb that the guy thought he was doing the right thing by pressure cleaning his kart after use. As you can see all the corrosion inside this carb.water in the fuel bowl mixed with fuel as the fuel evaporates the water starts the corrosion process.Its an easy fix but a real pain when you have to sit on the side of the track & watch instead of being out there amongst it. 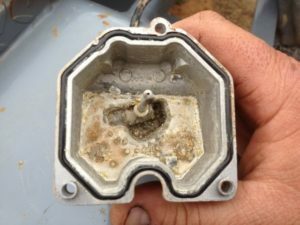 A mixture of water, fuel, dirt leads to a bunch of trouble. When it comes to the first time fire up of a new Briggs & Stratton racing engine this is the procedure we use for the break-in period. Briggs and Stratton World Formula engines are air cooled engines & use a splash feed oiling system.Your World Formula racing engine is hand assembled & uses a Teflon coated skirt on the piston & a special developed cross hatch finish is used on the cylinder bore so with the correct oil the engine is ready to race after a break in period. Careful preparation & taking the time to learn how to set the float level,carb mixture & idle speed & making sure every thing is tight & secured you have added oil & got the fuel up to the carb & you are ready to bring it to life.Briggs & Stratton racing engines are fitted with a chokes & should be used for cold fire ups. We always loosen the rocker cover bolts slightly, the reason we do this is once the engine fires & you see a tiny drip of oil coming from the rocker cover & cylinder head joint you know that the oil is at the top end of the engine & the valve train is also being lubricated. 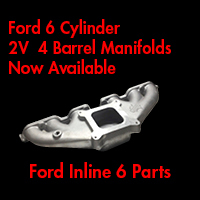 Shut the engine down tighten the rocker cover bolts & follow the next steps. We fill our new engines with 600ml of Redline 4 stroke karting oil get it started & run the engine for around 10 minutes with no load DO NOT HAVE THE CHAIN CONNECTED TO THE CLUTCH & REAR AXLE WHILE REVING THE ENGINE EVER. Take the engine to around 2000 rpm varing the rpm from above idle to 2000 rpm. You can divide the run in with 3x 3 minute runs , Try not to let the engine idle as it is important with a splash feed engine keeping the revs up above idle will get the oil slinging & splashing over the moving parts, cylinder walls & the engines valve train. If an adjustment needs to be done switch the engine off make the adjustment have a quick look at the oil level through the filler plug the restart & continue the first break in period. After this first stage let the engine sit for 5 minutes for the oil to return from the top end of the engine then while the engine oil is still warm drain the oil. This first drain should remove any material from the cylinder walls or bearing material from the internal rotating assembly of your gokart engine. Refill Your Briggs Racing Engine with Redline 4 stroke go kart oil or the oil you have decided to run, fit and tension the chain restart your engine & get it out on the track and run it around for about 15 minutes vary the engine speed and always keep the revs high enough to keep the clutch engaged. Keep your Briggs World Formula engine below 5000 RPM for this second part of the engine break in. After you have done around 15 minutes of driving time its time for another oil change, let the engine sit for around 5 minutes drain the crank case and refill the engine with another 600ml of oil. Depending on the way the engine is fitted to the kart and the engine mount used we have found some engines can run less than 600 ml. Once your engine is refilled and you have checked over your engine that the exhaust is not leaking & the nip up the nuts on the manifold your Briggs and Stratton World Formula is ready to race. Walbro PZ26 Briggs & Stratton World Formula Carb mixture screw position.The mixture screw on the world is located under the fuel bowl on the inlet manifold of the carburettor. 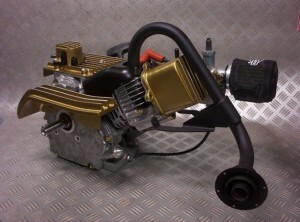 The PZ26 Walbro Carburettor that is fitted to the Briggs & Stratton World Formula engine is a very easy to set up & tune. 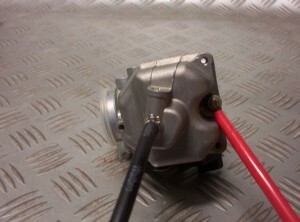 We advise customers to take the time to set up the float height on the Walbro carb. Small engine performance offer an easy to use float gauge to set & check the float position on World Formula carburettors. 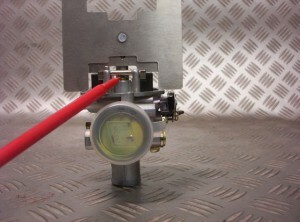 The red pointer is positioned on the needle valve. Be sure when setting the float height that the needle valve is not compressed into its seat. The Float height on the World Formula needs to be set at 14mm or .550 thou of the body of the carburettor where the float bowl attaches to. 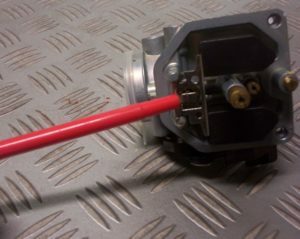 The float drop is not critical in the PZ26 Walbro World Formula carb, it is a very good idea that the height tab for the float drop is set that the needle valve is set to low as the needle valve can drop out of the seat.